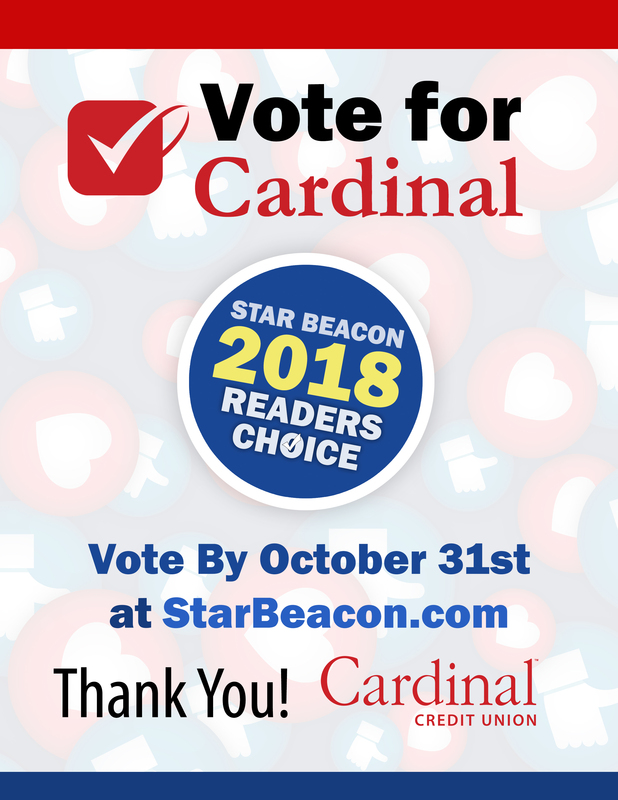 Vote for Cardinal as the Star Beacon’s 2018 Readers Choice! It’s easy, click here to head over to the Star Beacon website. Voting will be open from October 1, 2018 through October 31, 2018. You’ll need to set yourself up with a FREE account. Fill out and submit the registration form. You’ll be sent an email to authenticate your account. After you have authenticated your account you can log in and start the voting process. To vote, all you need to do is click on the “To submit a ballot, CLICK HERE to login or register.“ option and login. If you have not registered; please see Step 1. Check the boxes of a business or individual to vote on and click SUBMIT and you’re good to go! The Star Beacon reserves the right to disqualify individual votes, voters or categories if votes are determined to be fraudulent. previous post: Join us for Willoughby Member Appreciation Day!